Hand quilted big stitch. Seems more whimsical and child like. A child could trace the stitches with imagination. The contrast with the white background will pop more. Adorable! I love this quilt! I think if you have the time a hand quilting would look great! It's such a cute pattern, love the turtle in the middle. How about cross hatching across the quilt then big stitch around the animals edges? If it's a childs quilt the machine quilting will help it survive lots of cuddles and cubby house adventures. And a bit of big stich will add that handmade love. How cute! I think hand quilting would really set them off. Can't wait to see them with faces. I agree with Rachael- a combination of both stitching. Machine for durability, and hand stitching for whimsy! Gorgeous quilt! That is going to be adorable, Cindy! 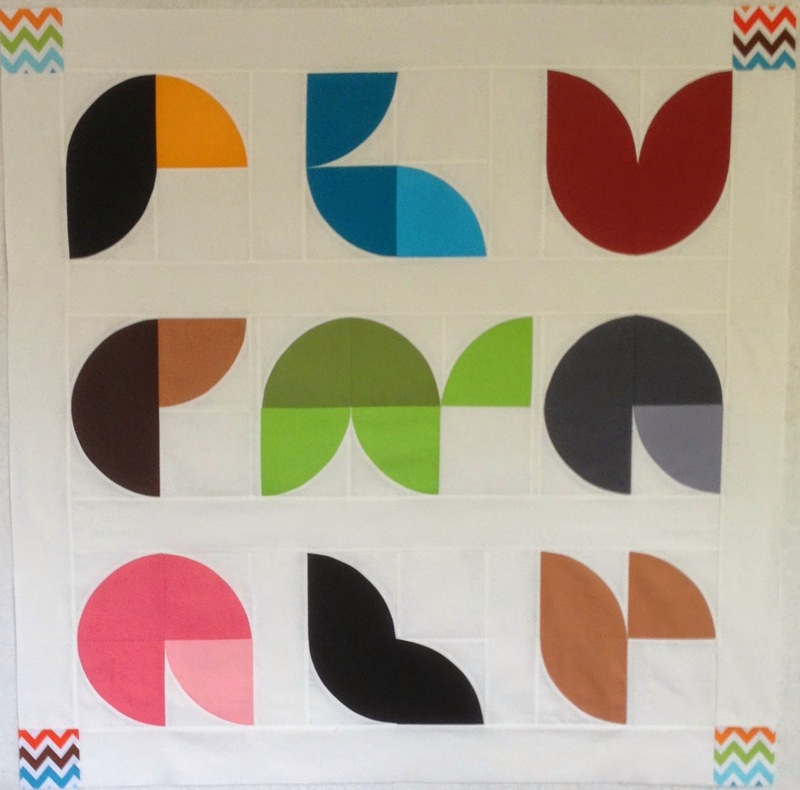 This is such a cute quilt and great concept. Any quilting will be good but hand sounds pretty fun. Oh I love it! It's fabulous even without all the facial details!! I have the same finished quilt top! And I'm stumped on how to quilt it, so I appreciate your readers' suggestions. Good luck with yours! This is so cute! Can't wait to see it finished. oh yes! I'm a teacher and next week is our state test. We are definitely in freak out mode right now! Next week will be the week we have to remain cool and calm and keep the kids from getting stressed. but this week- some serious freak out is going on!